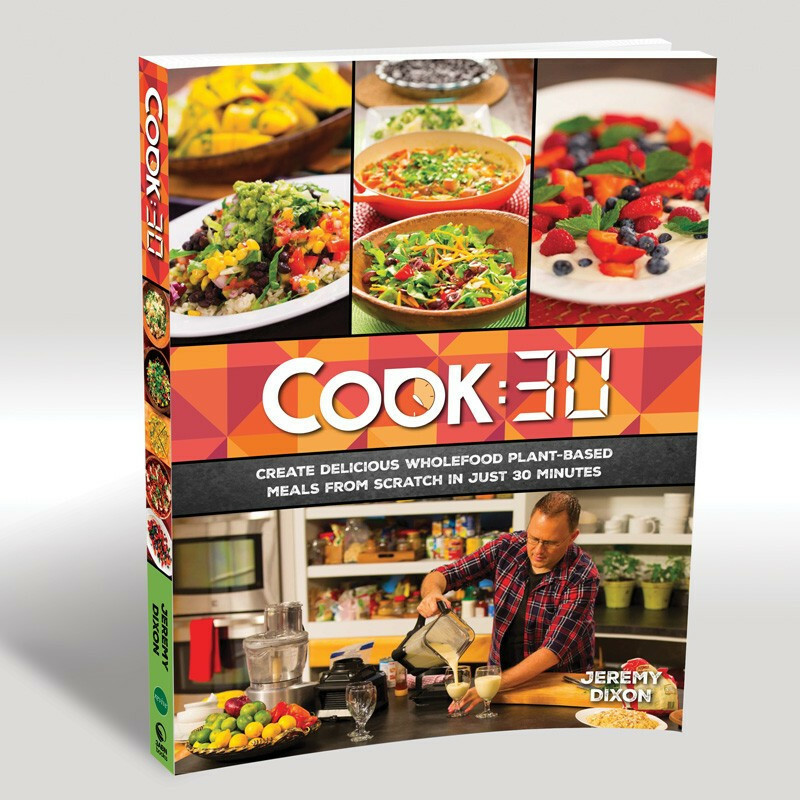 Cook:30 is all about cooking a healthy meal from scratch in 30 minutes using plant-based, whole foods. Delicious meals, salads, accompaniments and sweets inspired from Jeremy Dixon's Revive Cafes in Auckland New Zealand. 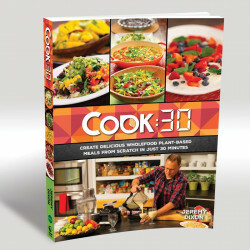 Programs for Cook:30 can be seen on 3ABN. Season 1 DVD Set available here. Season 2 DVD Set available here. DVDs from season 1 and season 2 available here. 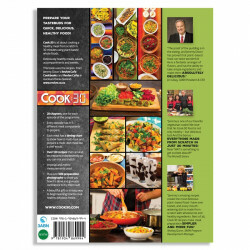 The program and book will show you how easy it is to cook healthy food at home. 26 chapters, one for each episode of the program. Every episode has around 5 different meal components to prepare. 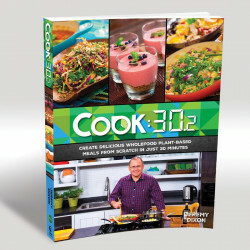 Each chapter has a flowchart of how to multi-task and prepare a meal the way a chef would. All recipes can be prepared on their own so this book can also be used like a normal cookbook. 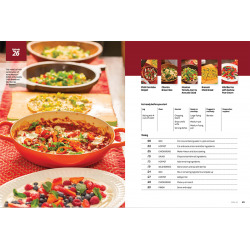 Large 288 pages, full color photographs of each recipe. Plus over 500 preparation photographs to show you how it is done and give you confidence to try them out! 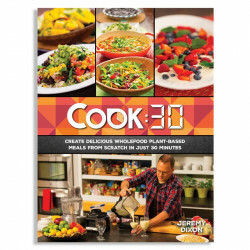 A beautiful gift or an easy way to begin learning how to cook healthy delicious meals.